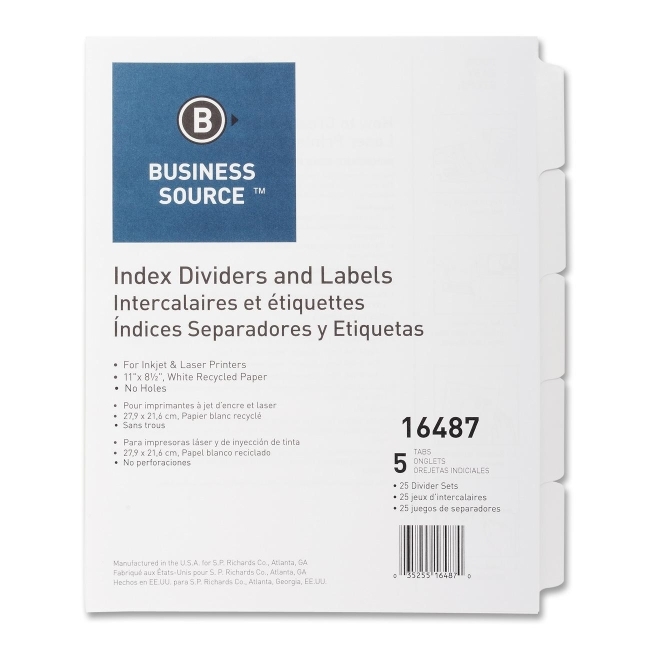 Customize tab titles and create professional dividers using these index dividers and a laser printer. 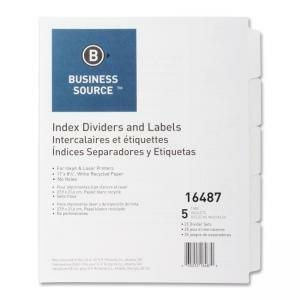 Standard software programs provide label layouts for quick and easy formatting. The labels virtually disappear when applied to tabs on the side of dividers. Dividers include easy-to-follow instructions. Paper is made with at least 30 percent post-consumer material.